A couple of weekends ago the family and I visited Drayton Manor Theme Park with some friends. We all thoroughly enjoyed ourselves but it occurred to me that not everyone with little ones will realise that visiting Drayton Manor with a toddler is actually surprisingly affordable! Drayton Manor offer a Parent and Toddler Pass which admits one adult accompanied by a toddler aged 3 or under entry into the park for just £20. Understandably some parents I have spoken to have had concerns about how much a theme park can offer to a very young child but there’s plenty to see and do. Thomas Land in particular is filled with entertaining rides for mini peeps, there’s even a fantastic soft play area. Venturing out of Thomas Land and you can visit the Carousel, ride on the Polperro Express train or take in a movie in the 4d cinema. That’s before you’ve even begun to visit the Zoo, Dinosaur Trail or Farm Park. There really is plenty to see for all the family. In fact I am working on a post that details the best features of the park for those visitors who don’t really enjoy rides in general. I’ve put a video together with some help from the kids and while it’s not specifically aimed at the smallest of visitors, it does give a good overview of some of the best sights if white knuckle rides aren’t quite your thing, so I’ll pop it below. The Parent and Toddler pass is available during the Staffordshire term-time and full details can be seen on the Drayton Manor website here. 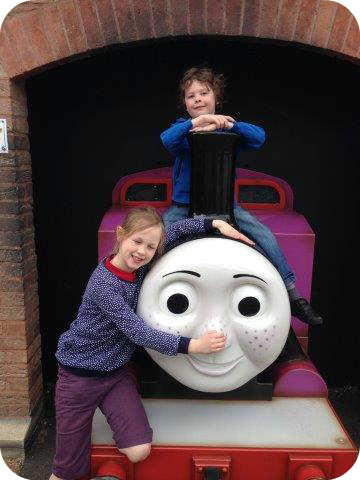 This entry was posted in Out and about, Reviews and tagged drayton manor, parent toddlr ticket, pass, theme park, toddler. Bookmark the permalink. I haven’t been to Drayton Manor for years. I’d love to go to Thomas Land. We have been to Drayton yet but I really want to visit, my 4 year old would love it I’m sure. That’s a great price to visit. I love your idea on showing what to do if you don’t like rides. Looks like a great day was had by all! We love it and visit regularly!